Famous people fight it out in our monthly competition. Robin Williams and Sacha Baron Cohen are both top comedians. 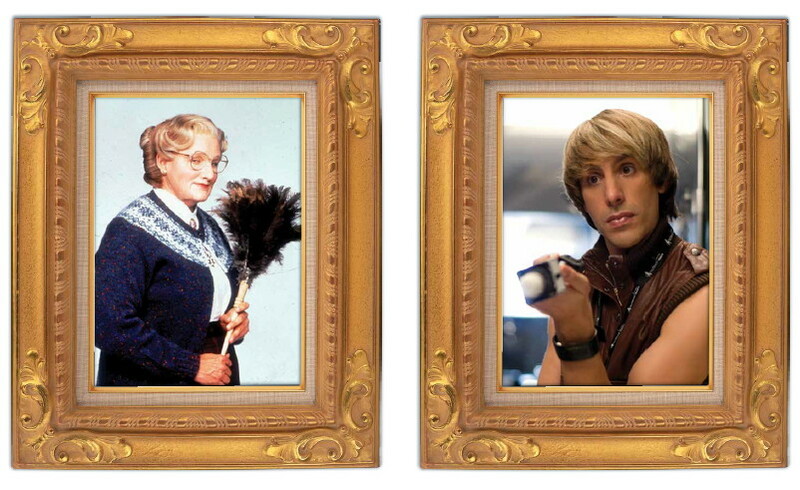 Williams is American and Baron Cohen is British, but who’s going to win our monthly competition? Robin Williams was born in 1951 in Chicago. and died in 2014. He started out as the bizarre Mork in the TV series Mork and Mindy back in the late 70s. The quirky sitcom shows Williams as an alien who landed on earth in an egg-shaped spacecraft.